George Soros will fund just about anything that will combat any sort of conservative thinking or news. Facebook is turning into a liberal cesspool. The far left wing group, Media Matters for America, has been working with Facebook quietly behind the scenes for some time now according to an explosive report released from the Washington Free Beacon. 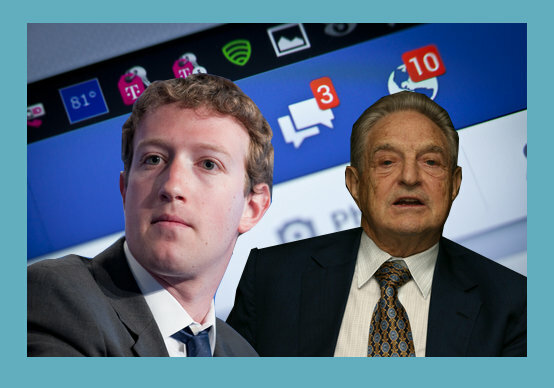 The radical group is assisting Facebook with helping them identify what they deem to be “propaganda” and “fake news” in what many are calling a clamp down on free speech and a boxing out of conservative media on the social media giant. Media Matters will serve as their partner,” the group said of its work with Facebook and other social media companies. Media Matters is also funded by ultra-liberal George Soros who gave Hillary Clinton over $25 Million to beat Donald Trump. In today’s joint announcement, Soros denied it too – at least until today. The Entire Senior Management Team At The State Department Just Got Fired?